Steven R. Gerbsman is a nationally recognized Crisis/Turnaround CEO/Restructuring Professional, Private Investment Banker and Angel Investor who has been involved in maximizing enterprise value, stakeholder and shareholder value in a broad variety of industries. He has worked with a wide spectrum of senior and junior lenders, bondholder groups, venture capital and private equity sources, private investors and institutional groups. He has acted in the capacity of Crisis/Turnaround CEO, Crisis Consultant, Private Investment Banker, Examiner for the Office of the United States Trustee, a member of the Board of Directors of various companies, Advisor to stakeholder groups and Angel Investor. 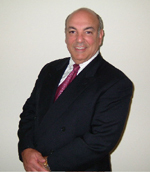 Mr. Gerbsman has over 49 years of senior management, marketing, sales and finance experience and has been involved in various business and investment ventures as an Officer, Director, Consultant and Investor, both in the US and internationally. Since 1980, he has been in the business of maximizing enterprise value for highly leveraged, under-valued, under-performing and under-capitalized technology, digital marketing, life science, medical device, cyber security, fuel cell and solar companies and their Intellectual Property, as well as assisting technology, digital marketing, cyber security and medical device Intellectual Property companies with access to capital markets, strategic alliances, M&A, distribution of content and licensing. To date, Mr. Gerbsman has been involved in over $2.3 billion of restructuring, financing and M&A transactions. In 2000, he also began focusing on Israeli and European technology and life science companies, with the objective of providing access to the US capital markets and developing strategic alliances, M&A and licensing opportunities for them. In 1999, Mr. Gerbsman expanded Gerbsman Partners' "Board of Intellectual Capital" as a resource to rapidly identify business and marketing strategies, strategic alliance candidates and financing for its client companies and their Intellectual Property. This distinguished group includes nationally and internationally recognized financial, communications, media, advertising, public relations and technology senior operating executives. Mr. Gerbsman has also assisted numerous Venture Capital/Private Equity Investors in terminating/restructuring their real estate and equipment lease executory contracts. To date, he has been involved in terminating/restructuring in excess of $810 million of real estate, sub-debt and equipment lease executory contracts and since 2001, has maximized enterprise value for 97 technology, life science, medical device, digital marketing, cyber security, fuel cell, and solar companies and their Intellectual Property. Prior to forming Gerbsman Partners in 1980, he was President of four operating divisions at ITEL Corporation with responsibility in the technology, leasing and business sectors. Mr. Gerbsman began his business career at the IBM Corporation in 1967. Mr. Gerbsman received a BS degree in Accounting from Hunter College, New York and attended the Baruch Graduate School of Business, in New York City. Mr. Gerbsman has also been a guest lecturer at the McDonough School of Business MBA program at Georgetown University, at the Haas Graduate School of Business, Venture Capital Executive Program in Berkeley, California and a mentor at the Stanford University MBA program. He is a member of the Board of Directors of the Kentfield Fire District, where he served as Chairman and has been an advisor to American Legion Post 911, an American Legion Post founded to support returning Iraq and Afghanistan Veterans.